James Grieg (1865-1954) – Temple Lodge, No.33, Duncan, B.C. James Grieg (28 July 1865 – 10 August 1954) was a Past Master of Temple Lodge, No.33. He served as Mayor of Duncan and had a long career in local public service. He is buried in St. Peter’s Quamichan Anglican Cemetery. “Grieg – Mr. James Grieg, aged 89, who made Duncan civic history, died at St. Joseph’s Hospital, Victoria, early on Monday morning, after a lengthy illness. The funeral will take place here to-morrow, at 2:30 p.m. at St. Peter’s Church, Quamichan, with interment in the family plot in the churchyard cemetery. The Rev. Canon T.M. Hughes, Victoria, will officiate. It is requested there be no flowers. He was the first city clerk and treasurer of the City of Duncan, serving for 22 years. He then became mayor for four years and followed this with four years service as alderman. In addition, he held offices such as stipendiary magistrate, juvenile-court judge, judge of the small debts court and, for a number of years, was secretary of the former consolidated school board. These duties, often several at once, covered the three decades from the city’s incorporation in 1912 until the middle of the recent war. Following the war, he moved to Victoria, where he had since made his home. An illustrious career in the British Army occupied the first half of his lengthy and full life. He was born near Cambridge, England, on July 28, 1865, the son of James Strachan Grieg, Kincardineshire, Scotland, and of Elizabeth Gautrey, Cambridge, England, a descendant of one of the old French Huguenot families. He was educated in private schools. His seventeenth birthday found him in the British Army. He had joined The Buffs, Royal East Kent Regiment, on June 17, 1882. He served with distinction in this regiment, advancing step by step until he attained the rank of regimental sergeant-major, and afterwards being promoted lieutenant and quarter-master which rank he held on his retirement in 1907. His total army service was 25 years. In addition to different periods in England, he served several years in Ireland and was stationed in Dublin during the turmoil following the Phoenix Park murders and the subsequent trial of those involved in that conspiracy. The trials took place in the Green Street police court and an officers’ guard of 100 men, armed with rifles and ammunition, were always on duty at the police court while the trials were in progress. A similar guard was also maintained at the Kilmainham goal where prisoners were held while awaiting trial. Dublin was very full of military at this time, never less than eight regiments being stationed there (two cavalry and six infantry) plus several batteries of artillery and auxiliary branches of the army such as engineers, army service corps and so on. Mr. Grieg also served approximately one year in the Mediterranean (Malta), about two and a half years in the Straits Settlement (Singapore and Panang) and two periods in India. During his last term of service in India he was sent with his regiment to the Relief of Chitral (1895) and was specially recommended to the Government of India for the services he rendered on that occasion. He was the holder of four medals, Indian Frontier (Chitral Relief Force), the Long Service and Good Conduct, the King’s Coronation Medal and the Meritorious Service Medal (1949). 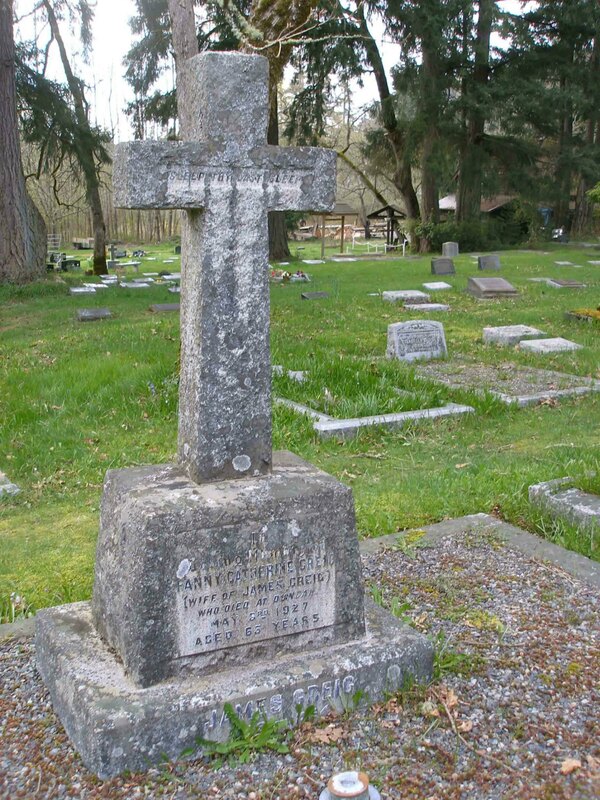 After severing his connection with the British Army in the spring of 1907, he with his wife and family came to Canada, settling near St. Catherine’s, Ont., where he was engaged in fruit farming until the latter part of 1910, when he sold out and returned to the Old Country for the winter of 1910-1911. Before the year was out he was advanced to the position of foreman in charge of the yard and shipping department, which was the position he held when the City of Duncan was incorporated in March, 1912. He at once made application for the post of clerk and treasurer to the newly incorporated city and was selected for the said position out of some half dozen applicants. He retained that office until his retirement in the early part of 1934 when he went for a short holiday to the old country. On his return he found it hard to settle down to a life of complete idleness and, in the spring of 1935, finding some one was needed to carry out the duties of secretary-treasurer for the Sweet-Pea-Festival, he volunteered for the task which kept him fully occupied for practically the greater part of that summer. The following year, 1936, he was elected by acclamation to the position of mayor of the city. He served as mayor four years, 1936-1939 inclusive. In 1940 he was elected alderman and served four years. He took no active part in World War 1, but this was not through any lack of effort on his part. When war was declared in August 1914, he realized that his experience the authorities might be very glad to make use of him and he at once approached the then mayor (the late O.T. Smythe) for leave of absence to enable him to rejoin for service overseas. This was immediately granted and arrangements were made for E.F. Miller to carry on with his work during his absence. Mr. Grieg had, in the meantime, already cabled to his old depot, Canterbury, England, fully expecting a cable in reply ordering him to rejoin at once. Some weeks went by and eventually a letter arrived to the effect that they had no authority to accept his offer or to make any arrangements about transportation and suggesting that his service might be offered to the Canadian Military Authorities. This was at once done and the usual official acknowledgement received “thanking him for his offer and advising that should his service be required he would be communicated with,” and that was the last he heard from the military authorities. In the meantime both his sons had joined up with the Canadian Forces and Mr. Grieg took no further steps to force the issue so as far as he was concerned, feeling that if he was wanted the authorities knew where to find him. Immediately following the outbreak of war, a local corps of home defence was raised and Mr. Grieg assumed responsibility for their training. He was also appointed secretary-treasurer for the local branch of the Canadian Patriotic Fund and he held that post for several years until he was compelled to relinquish it owing to the growth of his other duties, to such an extent that it was impossible for him to continue except by serious neglect of his other duties. 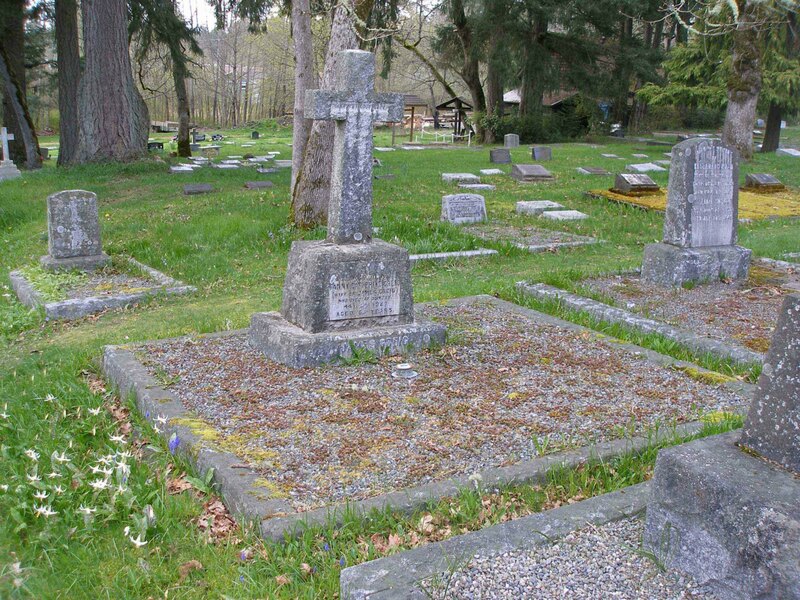 He helped to form the Cowichan Ex-servicemens’ Association which became a G.W.V.A. branch and is now the Canadian Legion. 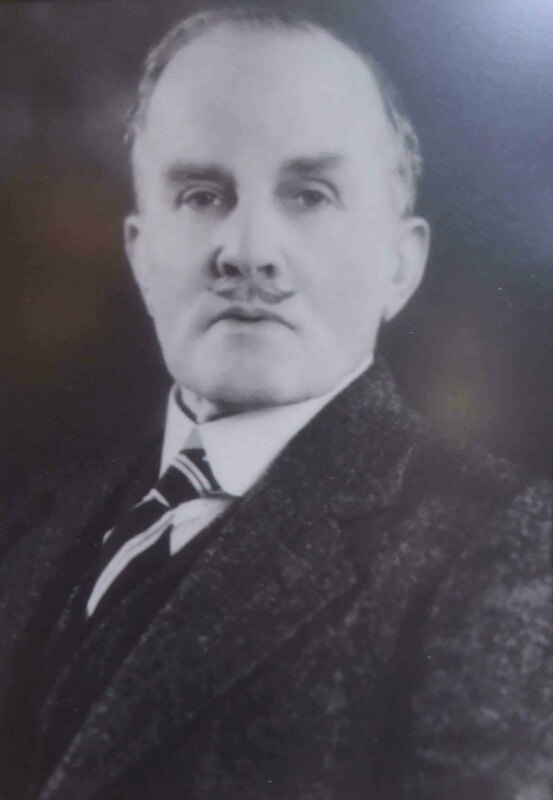 In 1927 he was appointed stipendiary magistrate for the county of Nanaimo and in 1945 he was appointed judge of the juvenile court for the Cowichan District. At the same time he was also made magistrate of the small debts court for this district, which position he resigned in 1933. During the six years that he held that office he put in a great deal of work adjudicating on some 700 cases all told, with, on the whole quite satisfactory results for the appellants. When he retired as clerk and treasurer in 1934 he was publicly presented with a massive sterling silver salver, suitably engraved, together with a set of cut glass decanters and tumblers and a valuable cheque. This presentation was made by ex-Mayor H.F. Prevost, now dead, on behalf of the citizens of Duncan and the Consolidated School Board, of which body Mr. Grieg had, in addition to his many other duties, carried out the office of secretary during the whole of his period of service as clerk and treasurer. During the second world war Mr. Grieg was secretary of the Red Cross organization and of the local Ration Board. He was president of the Duncan Chamber of Commerce in 1943. He was thrice married, in 1890 to Fanny Catherine Jiggle, who predeceased him in 1927; again about a year and seven months later when he married Mrs. Josephine Lovelace Milestone, who died at the end of the recent war; and, for the third time, after he moved to Victoria, to Elizabeth Jiggle, a relation of his first wife. She survives him. There are two sons, E.J. Grieg, Royston, and the Ven. Archdeacon H.J. Grieg, Vancouver; two daughters, Mrs. A. Steward, (Doris), Victoria, and Mrs. J.T.S. Wilson, (Ethel), Victoria. There are also six grandchildren and 17 great grandchildren. He has one brother, Charles, Paisley, Scotland, and three sisters, Mrs. T. Paragreen and Mrs. H.G. Philpot, both residing in the town of Bicester, England, and Mrs. A. Burns, Sheffield, England. Mr. Grieg was a past master of Temple Lodge, No. 33, A.F. & A.M., Duncan, and was until a few years ago when he resigned, a member (18th degree) of the Victoria Chapter of the Rose Croix, Ancient and Accepted Scottish Rite of Freemasonry. “Grieg – many friends and former associates attended the funeral at St. Peter’s Quamichan, on Friday afternoon of the late James Grieg, aged 89, city clerk here for 22 years, who died in Victoria on Monday of last week. The Rev. Canon T.M. Hughes, Victoria, formerly of St. Peter’s, officiated. There was no music. The 90th Psalm was read responsively. Among those present who had held civic office during Mr. Grieg’s years as clerk and treasurer was James M. Campbell, member of the first city council of 1912 and now in his 89th year. Ex-mayor G.H. Savage was also present. Mayor J.C. Wragg and members of the present city council followed members of the immediate family. There was also a large attendance of members of Temple Lodge, No. 33, A.F. & A.M.
Burial took place in the family plot in the churchyard. Pallbearers were Messrs. Hugh Savage, R.W. Whittome, R.K. Cairns (at present an alderman), W.B. Powel, William Evans (for 22 years an alderman) and E.W. Lee, a friend of over 40 years standing and a former mayor.